In pictures: A look at Europe migrant crisis. 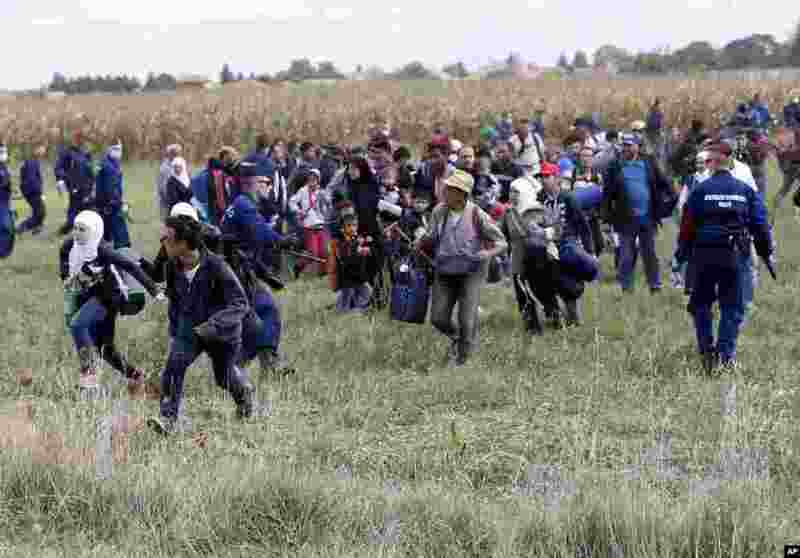 1 Migrants run away from a temporary holding center for asylum seekers in Roszke, southern Hungary, Sept. 8, 2015. Hungarian police struggled to control thousands of migrants hopping cross-border trains into Austria, taking advantage of country's surprise decision to stop screening international train travelers for travel visas, a get-tough measure that the country had launched only days before to block their path to asylum in Western Europe. 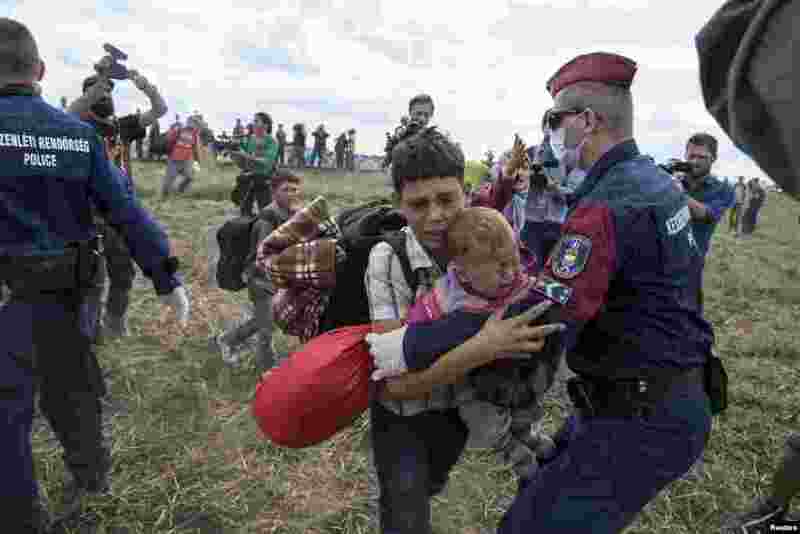 2 A migrant carrying a baby is stopped by Hungarian police officers as he tries to escape on a field nearby a collection point in the village of Roszke. 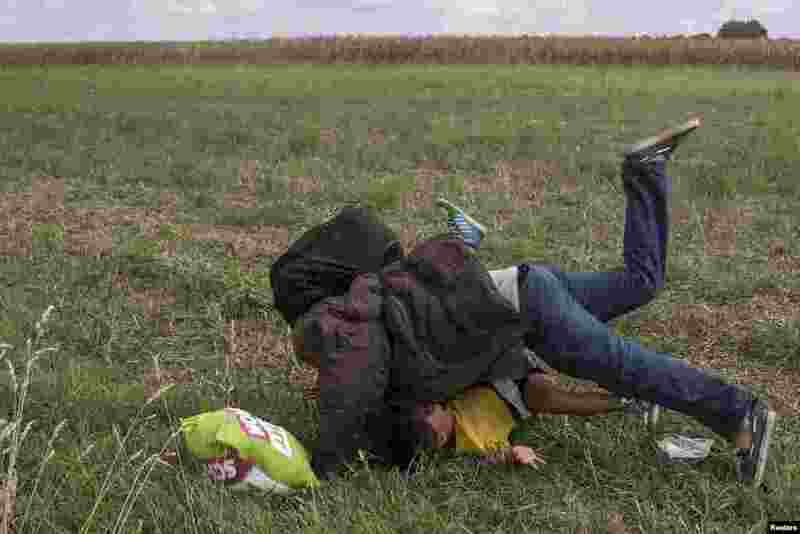 3 A migrant falls over a child as he tries to run away from the police. The man was kicked by Petra Laszlo (not in picture), a camerawoman for a private television channel in Hungary. She was fired after videos of her kicking and tripping up migrants fleeing police, spread in the media and on the internet. 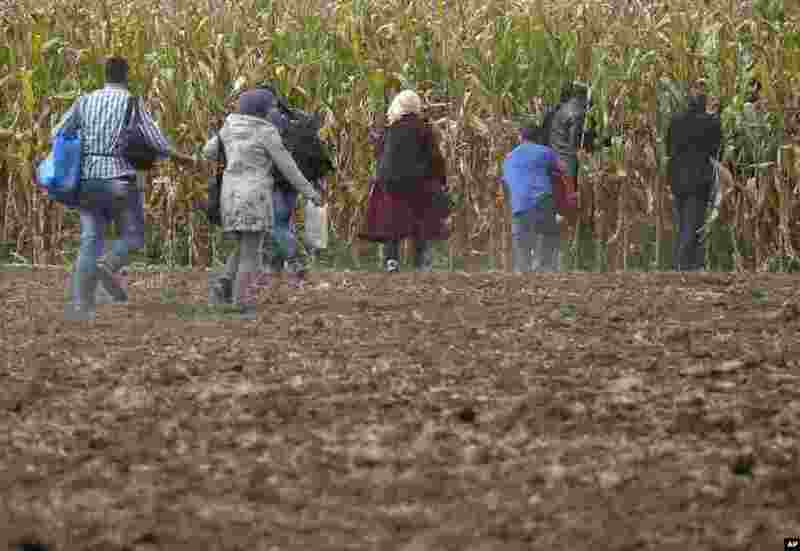 4 Migrants run into a corn field.